All parents know it — the infamous saga of the stroller search. Does it fully recline? Does it have a wide-enough canopy to adequately shade the sun? How heavy is it? Is it easy to break down? So many factors come into play when deciding which stroller to buy. 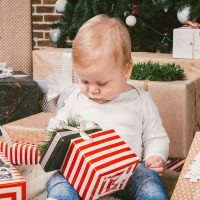 And when you’re looking for a travel stroller, in particular, there are even more things to consider (think: Does it fit in the overhead bin or will you have to gate check it? Is it sturdy enough to survive cobblestone roads in Europe? How easy is it to break down?) We’ve done the leg work to bring you the best umbrella (and umbrella-like) strollers out there for traveling the world with your little one in tow. Chicco no longer makes a classic umbrella stroller, but the Chicco Mini Bravo is as close as you can get to it. It’s a great, compact option for pushing around the airport, city sightseeing and general travels. The backrest is easy to push back with just one free hand and reclines nearly to flat. 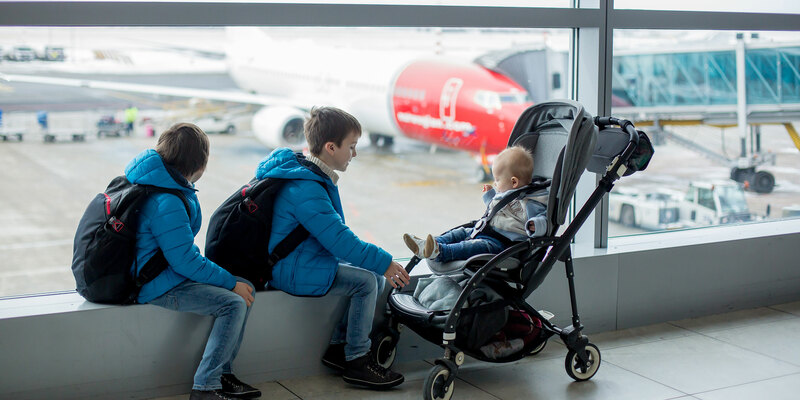 And parents love that this stroller stands on its own when you fold it up — no more awkward moments as the stroller falls over onto fellow boarding passengers while you wait for the agents to gate check it or try to keep it propped against a wall! Said to be the world’s smallest folding stroller, the gb Pockit Stroller is the umbrella stroller of our dreams. Roll it right onto the airplane, then break it down in a matter of seconds and stow it with ease — this baby (the stroller, not the baby!) even fits under the seat in front of you. The stroller weighs less than 10 pounds, but can hold kids up to 55 pounds, with adjustable harnesses that grow with your child. And the two front wheels can be locked or put on swivel, depending on your pushing needs. Traveling parents love the UPPABaby G Luxe for all the right reasons. For starters, the tires are hardy and do well tackling uneven road surfaces. In general, this stroller is one smooth operator, rolling and steering about town and through the airport like a knife through butter, despite its compact size. The carry strap makes it easy to tote along after you break it down. The storage space under the seat is ample and easy to access. And this stroller has a good recline, too, which is something not all smaller-sized strollers offer. Another UPPABaby favorite, the magical little MINU compact stroller pops open and closed with one motion and using just one hand. 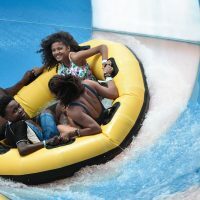 (The brand boasts that you can hold your baby in the other arm while springing open this thing). 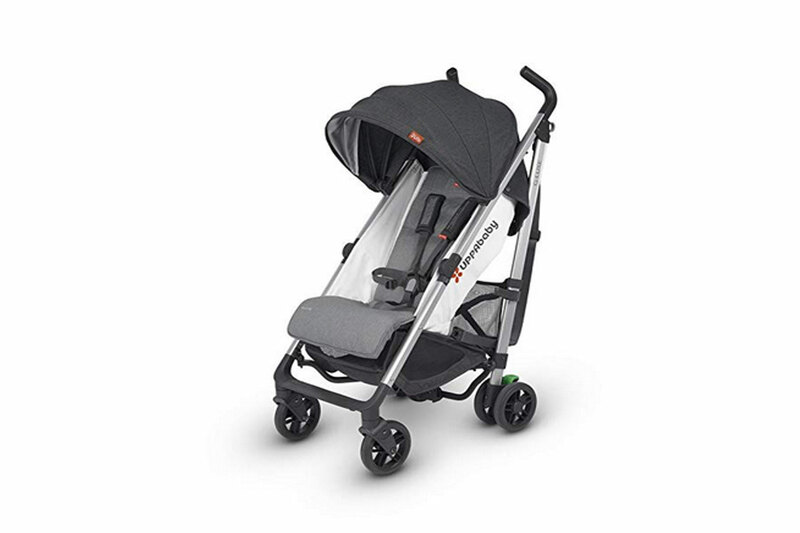 Hardly out of reach under the seat, the stroller’s storage basket is easy to access and the canopy includes an extendable UPF 50-plus sunshade that provides maximum coverage for your precious passenger. The spring-action tires have all-wheel suspension for a smooth ride, and babies up to 50 pounds fit comfortably. Perfect for babies from around six months old and older kids up to 55 pounds, the Maclaren Mark II gets high marks for being both featherlight (just over 7 pounds) and sturdy at the same time, with a hexagonal frame design that makes it hard to tip over. You can hang backpacks off the handles while pushing through the airport with no threat of the stroller popping a wheelie, it’s that sturdy. The extendable sun canopy has great coverage, as well as a viewing window that lets you peek on your child without distracting them, and your kids can be reclined back varying degrees, too. If you’re the kind of traveler who never wants to see your stroller sent off to the airplane’s cargo hold, then set your sights on this tidy package that can be folded up to fit right in most overhead bins. 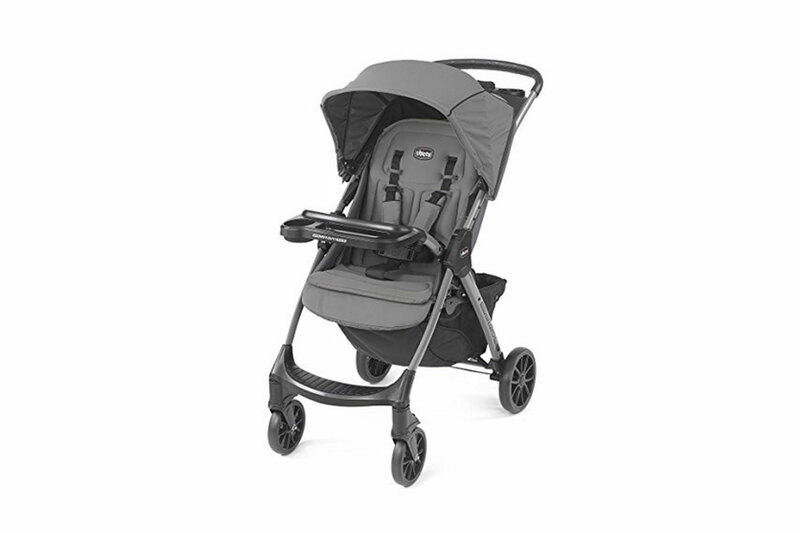 Particularly good for younger kids who like to nap on the go, the BabyJogger City Tour has a comfy padded seat and can recline nearly to flat. At 14 pounds, it’s not the lightest stroller out there. But extras like the UPF 50-plus extendable sunshade, backpack-style carrying bag and spacious under-the-seat basket for storing all of your baby’s carry-on gear make it worth its weight. For a solid umbrella travel stroller that can accommodate the compatible Graco car seat, too, the Graco Breaze Click Connect delivers. You can open and fold the stroller with just one hand. And the reclining seat goes all the way back to lie flat, all the better to help entice your little one into nap time. The big sunshade has a pop-out visor for extra sun protection and the extra-roomy storage basket provides plenty of space for storing snacks, diaper bags, and the like. A favorite with parents and caregivers who are also frequent fliers, the uber-compact Babyzen Yoyo pops down with ease and can be slid right into the overhead bin of most airplanes. The French brand has become a cult favorite for how easy it is to carry along, too, with a travel bag that works over your shoulder or as a backpack. The tires have four-wheel suspension for a silky smooth ride. And the Yoyo is just as convenient for dismantling in a jiffy to hop into a cab or a train during city trips. The lightweight aluminum frame and easy shoulder strap for carrying make this umbrella stroller from Joovy a great pick. Some cool touches that make it particularly newborn-friendly are the stroller’s near-flat recline and the little foot enclosures to keep your baby feeling snug for the ride. Light-reflective material on the sun canopy makes for a well-shaded experience. And you can store toys and bottles inside the mesh pockets in the seat wall. Did we mention this stroller is a cinch to fold up, too? The 3-D style fold of this lightweight stroller from Chico makes it a cinch to close up and keep moving, and comes with a carrying handle, too. The storage basket is easy to access and big enough to hold a kid’s backpack and lots of other travel items you’ll surely have along. And the Chicco Liteway‘s four-position recline gives a lot more room to lean back your little one and coax them for an on-the-go nap, too.